In our East Bay Clinical Hypnotherapy Program we utilize a creative collaboration between the certified hypnotherapist and client, in which the client is always lucid, aware and a part of the process. This method creates deep and effective change. In our East Bay Clinical Hypnotherapy Program we utilize a creative collaboration between the certified hypnotherapist and client, in which the client is always lucid, aware and a part of the process. This method creates deep, effective & often lasting change. treats an array of issues and facilities optimum therapeutic outcomes. It is a powerful adjunct tool to traditional psychotherapy. As a team of therapists with a variety of specialties, we have an array of clinical skills and have accrued many thousands of hours of highly specified training. One such sub-specialty in which some of our counselors are trained and certified is clinical hypnotherapy. In our psychotherapy practices, we can integrate hypnotherapy techniques for individuals and couples (often in the form of guided visualizations and relaxation techniques). We also offer pure hypnosis sessions for people not interested in on-going psychotherapy. Our therapists utilize hypnosis for a wide range of issues such as trauma work, helping people move through creative blocks, the cessation of unhealthy behaviors (over-eating, smoking, compulsive spending etc. ), as well as pain and stress management. We offer several types of hypnosis including the Rossi Method, Eriksonian Hypnosis, Transpersonal Hypnotherapy, Clinical Hypnotherapy, Neuro-Lingiuistic Programing, Cognitive Hypnotherapy and Pain Management. Neuro-Linguistic Programming (NLP) is a model used to identify and analyze the linguistic techniques used subconsciously by successful people, in order to cultivate success. NLP explores the relationship between language, behavior and the desired outcome. This is a very useful technique for enhancing confidence and skill, such as assisting athletes improve performance or for anxious test takers. Another modern, scientifically based approach to therapy that differs from the traditional schools of hypnotherapy is Cognitive Hypnotherapy. Cognitive Hypnotherapy is a form of Clinical Hypnotherapy that gathers its methods from a number of other validated theories, such as Neuroscience, Positive Psychology, NLP and Evolutionary Psychology. These techniques are then integrated to meet the client's personal goals, needs, values and ways of relating to the world. Drawing from an eclectic range of therapeutic modalities stemming from different disciplines means that a tailored approach for each client is created. Our work is collaborative and highly specific to your needs. 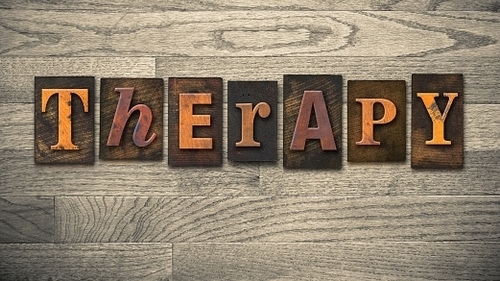 Much like psychotherapy, hypnotherapy assists the client in addressing any presenting issues, using techniques and language based on the client's unique worldview. Cognitive Hypnotherapy also uses an analytical approach to dissipate unhelpful past narratives and behaviors, while retraining the brain to be present to the changes the client seeks.